The forthcoming General Data Protection Regulation (GDPR) seems to have a number of estate agents worried. Despite efforts by the Information Commissioner and other responsible organisations to dispel some of the myths that have been circulating about the impact of the GDPR on business, some unscrupulous operators continue to try to scare agents. That’s verbatim, including the gratuitous use of shouty CAPS! Contractual – you are lawfully allowed to process data relating to the performing, entering into or negotiation of a contract according to the GDPR. For example: as a viewing is an attempt to persuade an applicant to enter into a contract with your client, it is necessary to obtain the details of the applicant before a viewing in order to process them for contact relating to the viewing. Legal Obligation – the GDPR allows you to store and process data that is needed to comply with other legislation concerning areas such as tax, finance and insurance. For example: retention of client data and identification documents for Anti-Money Laundering Regulations. 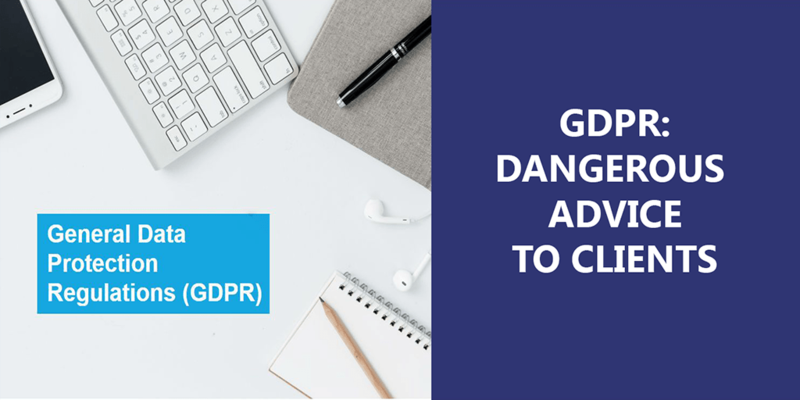 We would urge you to seek your own legal advice on the GDPR and only act on guidance from reliable and authoritative sources.